I haven’t been shy in admitting that I wrote much of my second novel, The Moon Sisters, in a state of fear. Fear that I wouldn’t be able to finish the draft, that I didn’t have a second book in me, that I’d fail despite — or because of — a two-book contract. But a duo of songs helped root me to characters in my story, and whenever I needed to be reminded that these characters deserved for their tale to be told, I brought up this particular music. Both songs are from an album featuring Robert Plant and Alison Krauss called Raising Sand. The album is laced with conflicting ideas that somehow work; it’s there even in the notion that rocker Plant and bluegrass star Krauss might make music together. But there’s also balance and ingenuity with the merging of their unique approaches; and if this music lives at the edges, then it fits all the better with my lives-at-the-edges novel and its characters. Sister Rosetta Goes Before Us, sung by Krauss, is the first song that spoke to me, with a gypsy quirk and haunting melody. Its bluegrass spirit complements the setting of the book, West Virginia, where you might indeed hear the bright pluck of a banjo marry with the darker sound of a tensely bowed violin. This was the perfect anthem for Olivia Moon, who sets off by foot at the beginning of The Moon Sisters to find a will-o-the-wisp light in order to fulfill her dead mother’s dreams. She’ll wander and hop a train and sleep under the stars, stretching personal boundaries that are already plenty different from those around her—especially her sister, Jazz, who has the opposite of a gypsy’s spirit and would rather be in control and safe and left to herself, thankyouverymuch. The second song that spoke to me, sung by Plant, is called Nothin and immediately called to mind an essential character: a train-hopping drifter named Hobbs. Hobbs hasn’t had an easy life, and this song’s driving blend of eff-you electric guitar, down-home-and-dirty fiddle, and what-ya-gonna-do-about-it tambourine speaks to that. It evokes a damaged person, and if you were to stick a label on Hobbs you might choose that word — damaged. He’d notice that and pat you on the back for your smarts, then send you on your way without hearing an argument. Motherless Hobbs nodded whenever this song played, and wasn’t one to condemn Olivia’s staring at the sun either, maybe because he understood that bit in the second-to-last verse about how being born is going blind. The tune itself is dark and uncomfortable and winding, like a train, and feels too personal yet I never could turn away from it. Listening to it helped me to stick with the story, which was just as dark and uncomfortable and winding, and made it just as impossible to turn away from it. Thank you, Roz, for the chance to share the sound behind the story. 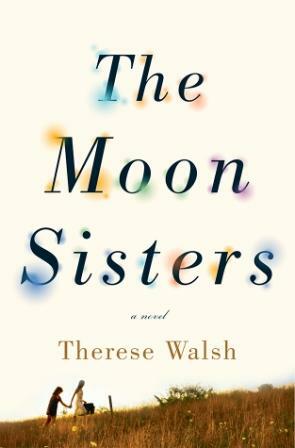 Therese Walsh’s second novel, The Moon Sisters, is published by Crown (Random House). 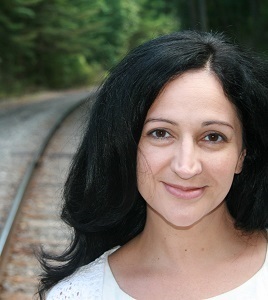 She’s the co-founder and editor-in-chief of Writer Unboxed, a site that’s visited daily by thousands of writers interested in the craft and business of fiction. You can learn more about her and her books on her website, Facebook and Twitter. My guest this week felt daunted when she embarked on her second novel, worried that she didn’t have the mileage to finish. A duo of songs kept her on course, gave her confidence and made her believe in the reality of her characters and their story. And two is a recurring theme as her novel centres around a pair of sisters with damage, strange hearts and unusual senses. As co-founder and editor-in-chief of Writer Unboxed, my guest is well known to thousands of writers interested in the craft and business of fiction; she is Therese Walsh and she’ll be here on Wednesday with her Undercover Soundtrack.